Fr. Thomas Asher comes from Dallas, Texas. He received Bachelor of Arts in History from the University of Texas at Arlington. Ordained a priest for the Society of St. Pius X in 2005, he spent a year in St. Mary’s, Kansas. He was chosen the next year to be vice-rector at St. Thomas Aquinas Seminary, which post he occupied until 2013. 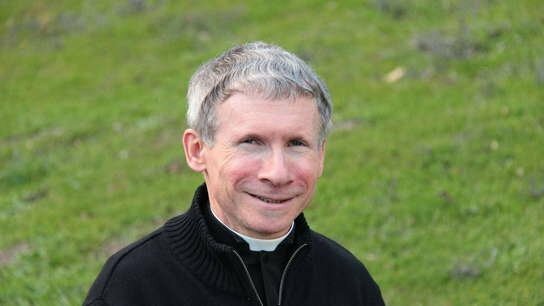 Father Asher has been in Los Gatos as Prior and Retreat Master since 2014. Fr. David Nichols was born in New Jersey and grew up near Saratoga, NY. He answered God’s call to the priesthood and began his formation as a priest of the Society when the seminary was located in Connecticut. Ordained in 1992, he has been assigned to priories of the SSPX all over the world, including England and Ireland. His last assignment was in Florida, and he is now here at our retreat house for the second time in the course of his priestly ministry. 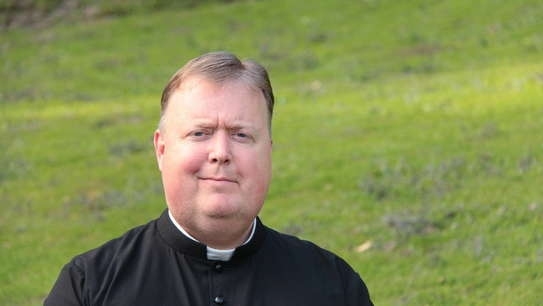 He takes care of the sick calls in the local area, and also says Mass for our faithful in Carson City, NV. Fr. William Kimball comes from Upstate New York. He attended the Society school in Syracuse, NY. After receiving an Associate’s degree at St. Mary’s College, he entered the Society seminary in Winona, MN and was ordained in 2013. 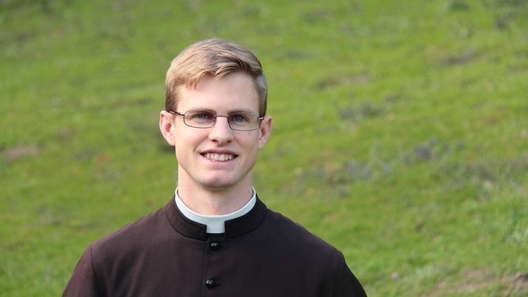 He presently teaches Religion at St. Thomas More School and is assigned to the mission chapel of Sacramento, where he says Mass on the weekends. Fr. Christopher Pedersen hails from St. Mary’s, Kansas. After graduating from the Academy in St. Mary’s, he earned an Associate’s degree in Liberal Arts from the College. Fr. 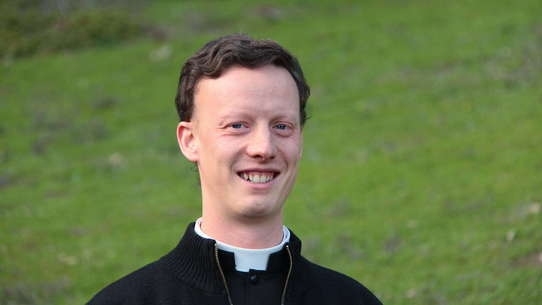 Pedersen entered St. Thomas Aquinas Seminary in 2007 and was ordained by Bishop de Galarreta in 2013 with Fr. William Kimball. Since his ordination, Fr. Pedersen has been posted here at St. Aloysius Gonzaga retreat house. He helps in the preaching of retreats and teaches Religion to the high school students at St. Thomas More School. 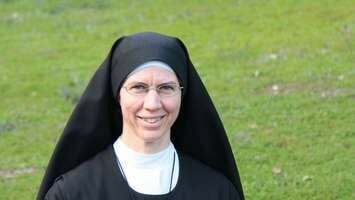 Sister Mary Raphael did her Novitiate in Dickinson, Texas. As an Oblate Sister she has been assigned to priories in Texas, Spain, and for the last 18 years in Canada. Her duties have included secretarial work, cooking, playing organ, and translating the Canadian district magazine from French to English. In addition to helping with the work of the retreat house, Sister presently teaches catechism for First Communicants, arranges flowers for the altar, and assists with the sacristy. Sr. Anne Marie is from Los Angeles, California. She had for years wanted to teach, and after obtaining a degree in education, she taught some years in our school in Phoenix, Arizona. 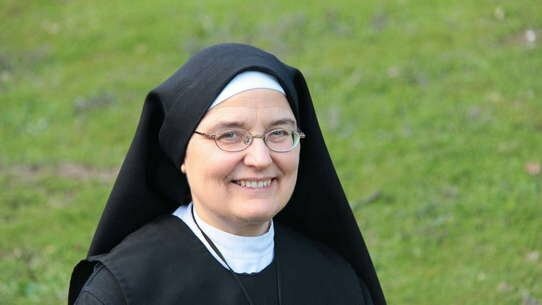 After her training at our novitiate for Oblates in Salvan, Switzerland, she taught in England. She then returned to Salvan to teach the novices catechism, liturgy, and Church history. She is now back in California, again teaching—this time in St. Thomas More School. She has also helps with the choir, laundry, church cleaning and sewing.